Secure, Health Department Complient, cloud based pool chemical logging keeps your pool log book available when you need it. No more searching for paper log books! No Math Needed – Instant water analysis based on the calculations from the National Swimming Pool Foundations Pool Operator Handbook ensures your pools stay sparking clean. Easily track chemical usage by recording dosage amounts added with each test. Multiple user access allows pool chemical logging using staffs’ own smartphone, tablet, or laptop. Cloud storage keeps recorded logs off staff devices, and instantly available! Free Trial - Try it today! The Pool Shark H2O system is a great tool to use for us as we manage several different facilities. 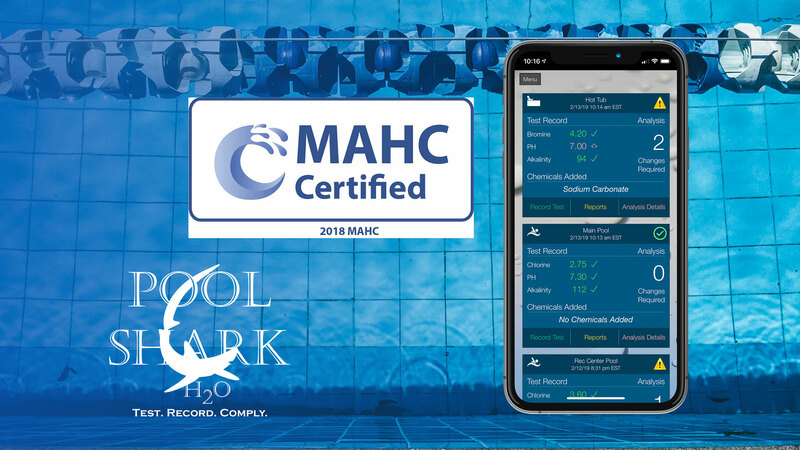 In the past, we relied on our employees calling in test results, but the Pool Shark H2O system makes the reporting so much more efficient and accurate. It allows our multiple supervisors instant access to test results no matter where they are. A great feature is the alerts that the system sends out letting all supervisors know if something on a test is out of range. Most importantly it provides a very clean, professional report that can be made available to inspectors. Pool Shark H20 is a wonderful program. The interface is easy to navigate. It accommodates all 25 of our users who range from High school students to graduates. The email alerts allow the administrator users the ability to know what is going on even when away from the pool. It allows another line of communication about all 4 of our pools. Customer service with pool shark is PHENOMENAL. They were able to add features as needed to accommodate our company. They are just an all around great company to work with. I would recommend Pool Shark H2O to anyone in the pool industry. 30 Day Trial - No commitment - Join Now!